Intelligence group Student Chagatai counter-terrorism Chief. 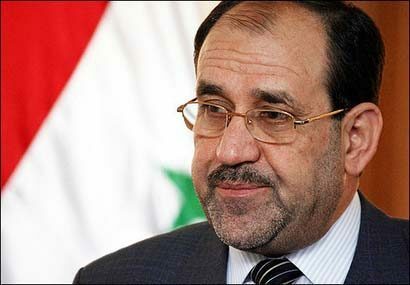 He disclosed that the Court has full files of the crimes committed by Al-Maliki and his associates, including genocide in Anbar, Kirkuk and the flagrant violation of human rights and brutal methods of torture and breaches of fundamental freedoms for citizens in contravention of the Geneva Conventions and the United Nations Charter and international law. 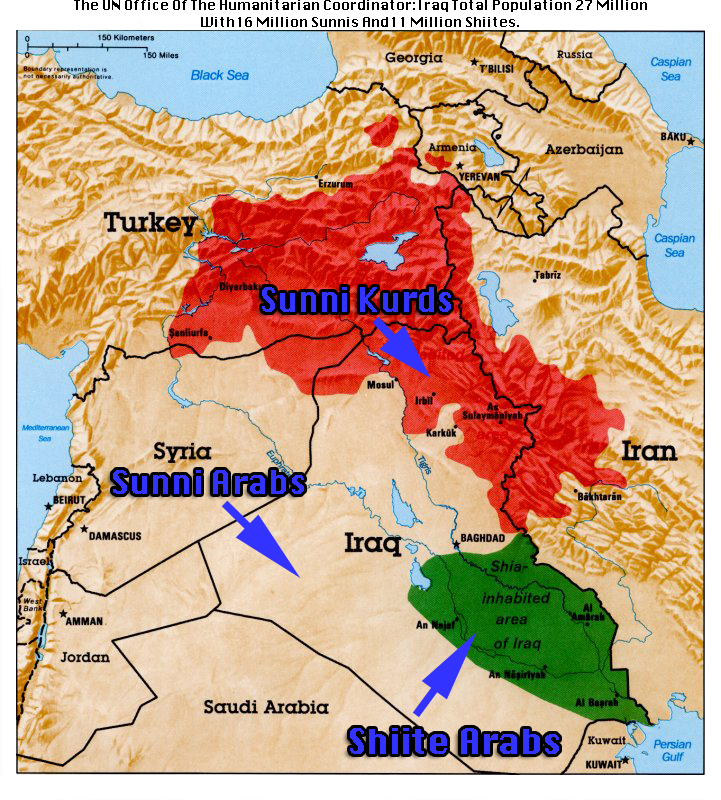 NWO Attempting To Funnel Iraq’s Oil Into Muslim Brotherhood Strongholds Of Turkey & Jordan. This Oil Would Empower The “Terrorist” Countries To Help Control The M.E. 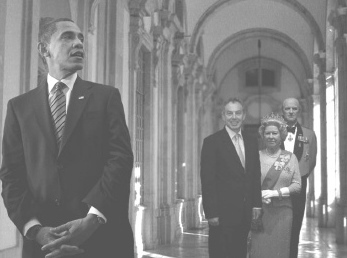 With Israel For The NWO Banking Petrodollar Cartel. Breaking => Palestine submits file to ICC over Israeli war crimes. 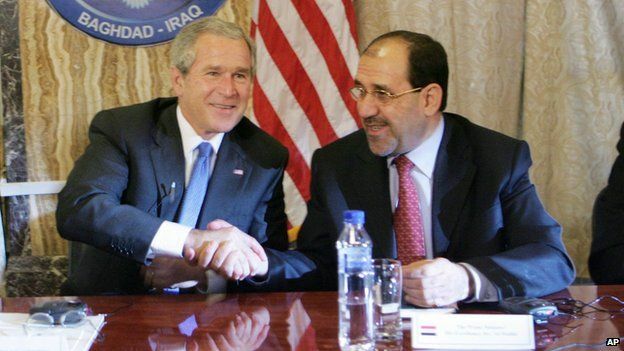 The NWO’s Petrodollar Cannot Allow An Independent Powerful Iraq [Which The Sunni Majority Want] Who Has The 3rd. Largest Oil Reserves In The World, A Sunni Majority, Who Are Strongly Aligned With An Almost 100% Sunni Saudi Arabia To Become An Independent Sovereign Nation. Iraq Has Not Been Allowed To Even Release Their Currency Since 2003 On The International Stage. 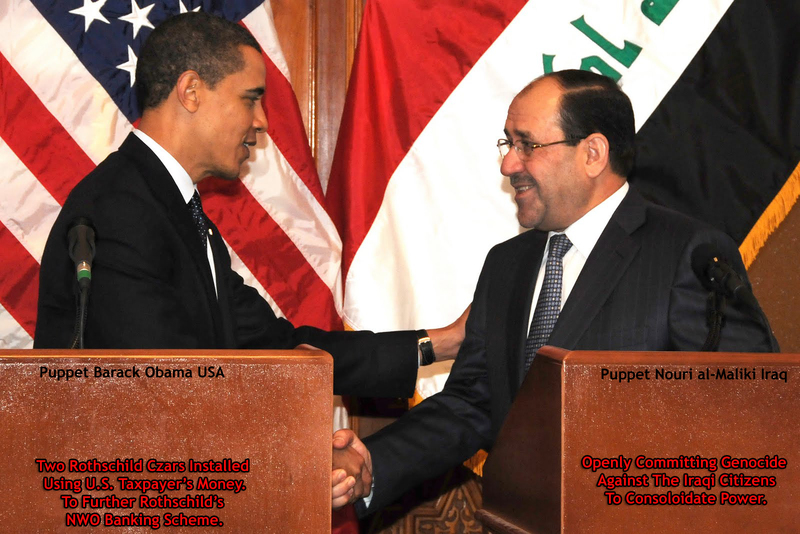 Ex-P.M. Of Iraq Nouri Maliki Facing Charges Of Genocide By The ICC. Ex-President Of Egypt Mohammed Morsi Sentenced To Death By The People’s Military. 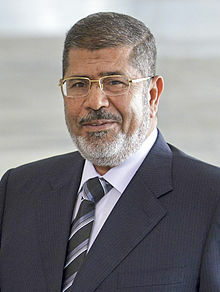 Maliki & Morsi look quite similar. 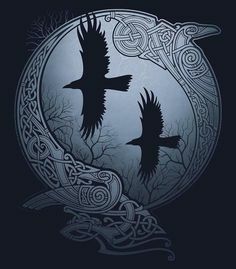 Erdogan of Turkey is very fearful now and loosing his balance, [cracks down on free press] as his Egyptian compadre Mohammed Morsi [another muslim brotherhood puppet president has now recently been sentenced to death]. Further, Russia has been approved to cross Turkey with their pipeline to feed Athens, Greece as the Oil Hub for Europe. Russia Further Has Invited Greece To Join BRICS As A 6th. Member State. This throws wrenches into NWO designs to control the M.E. More Nails In U.S. Dollar’s Coffin: Russian Ruble Exchanges Directly With Turkey & India. 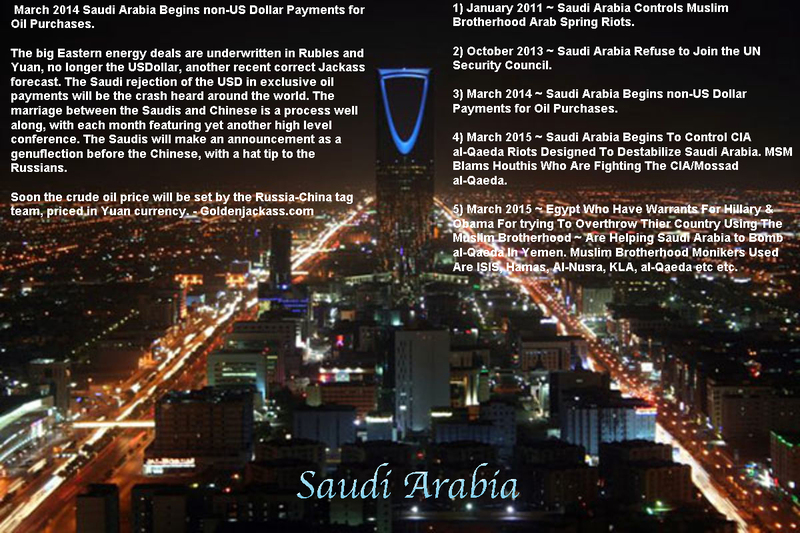 Saudi Arabia Knows The NWO terrorist mercenaries tried to take down S. Arabia in January 2011. 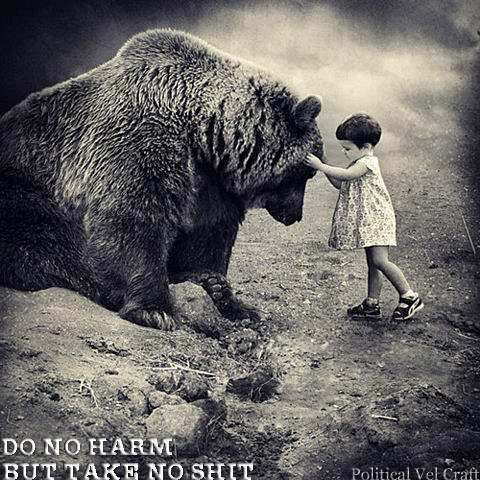 NWO is also trying today to take down Saudi Arabia by fomenting trouble in Yemen. This is why the Egyptian Air Force Is Helping Saudi Arabia eradicate NWO mercenaries [ISIS, CIA’s al-Qaeda in Yemen] ~ these are just monikers of the NWO political group Muslim Brotherhood. Saudi Arabia declared that Egypt, Pakistan, Jordan, Morocco, Sudan, Kuwait, Bahrain, Qatar and the United Arab Emirates have all joined a coalition to protect ‘the legitimate Yemeni government’ and its people. 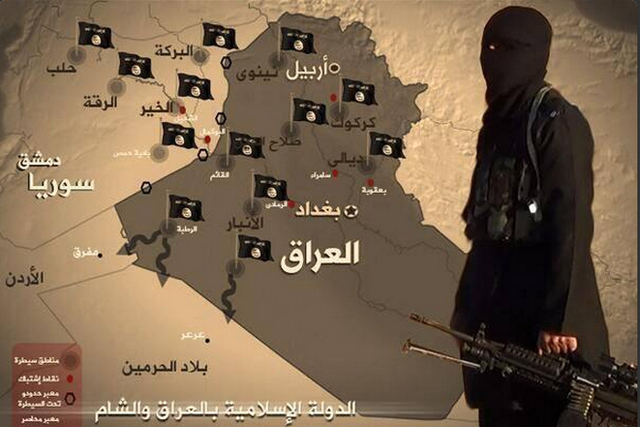 Iraqi Deaths: Sunnis Main Body Opposing NWO Banking Take Over Of Their Country! 9,000 Sunnis Killed 2013, 17,073 Sunnis Killed 2014 & to date 7,727 Sunnis Killed Thus Far In 2015.
International Human Rights Watch: Set International Inquiry Into Massacre Of Sunnis by Nouri Maliki Shiite Security Forces & U.S. Israeli ISIS. U.S. Congressman Bennie Thompson: “Don’t Buy Iraqi Currency” ~ Contrary To U.S. Executive Order 13303 & Iraq Coalition Provisional Authority Order 39. ← Top Democrat Elijah Cummings May Serve Prison Time For His Role In IRS Scandal.